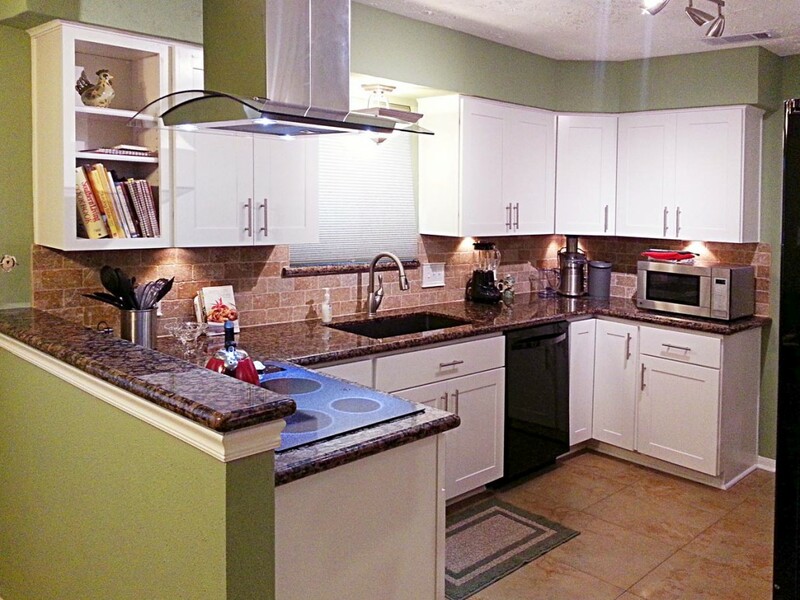 Since 2009, Kitchen Central has designed and installed bathroom cabinetry and new kitchens. Based in Texas, the company provides customized service to residential and commercial customers in the greater Houston area. Microsoft Excel and Outlook were once a big part of Kitchen Central’s business. The company had several sales representatives who met with clients on a daily basis, and every quote was done using Excel spreadsheets. The spreadsheets were changed constantly, and the formulas and calculations used were highly-complex. Since the information contained in the spreadsheets couldn’t be re-purposed to use in other parts of the workflow, none of data couldn’t be shared. Employees had to manually re-enter data and customer order information was difficult to access—spread out amongst several files in several departments. According to the company’s Operations Manager, several designers in the field (sales reps) were visiting with clients daily. The entire proposal process was managed in Excel and all communication took place using email. By the end of each month, the sales reps would have dozens of proposals, spread out across numerous file; it was impossible to see how much work existed, let alone forecast sales activity. And it was impossible to be on the same page with anyone in the company at any given time, without receiving an update or reminder. The company clearly had an amazing product on the market; however, without a centralized solution to manage their business, the company’s sales process suffered; efforts were duplicated and missed opportunities were abound. Occasional turnover would result in dropped opportunities and the team oftentimes felt “lost in the cracks.” Since every proposal was its own file, the company would have hundreds of files to deal with at the end of the year. Those files contained a lot of information that needed re-typing, especially after the sale was completed. Turnover and wasted labor weren’t the only problems the company stumbled upon when using Outlook and Excel to run their business. Revenue was compromised due to the lack of organization, and customer satisfaction began to wane. Operations didn’t have access to all of the designers’ leads and sales activities, so there was no way to know everything he/she was working on. They had to rely on the designers to communicate their latest activities with a particular prospect, such as their last email, or the most recent appointment or conversation. As a result, many opportunities requiring follow-up over a period of time, eventually fell through the cracks; turnover was a significant issue. When the company lost a designer (sales rep)—unless they had access to copies of their emails, notes, prospects and other important data—they also lost valuable customer information. This often resulted in the inability to follow-up with a former employee’s opportunity, which proved bad for business. Kitchen Central made the decision to deploy the Sales and Marketing Edition of Mothernode, using it to replace all of the sales processes that formerly depended on Excel spreadsheets and Outlook. The Texas-based company now relies solely on Mothernode to provide quick and accurate pricing to customers. Mothernode Quotes provides Kitchen Central’s employees and sales representatives with customized price quoting modules, which operate similar to those used in Excel. Furthermore, all of the information included in the quotes is now easily accessible to anyone who needs it, and easily communicated with other departments—thus eliminating duplicate entries when fulfilling orders. According to the Operations Manager, once Mothernode was deployed and the company became acclimated to the variety of modules in which they could access, everyone was on the same page. Although the platform required a period of adjustment to become familiar with, the company’s workflow, collaboration and information sharing became more structured and convenient. Mothernode replaced their traditional quoting process and replicated our customized XLS quoting process in the application. Quotes and proposals in Mothernode now looks exactly the same as when using Excel and Word previously, but everything has been automated and is much more efficient. Kitchen Central now has more transparency within their sales pipeline, thus eliminating much of the mystery regarding their sales activity.